THIRTY 2010 'Friendship is a sheltering tree', Samuel Taylor Coleridge Anthropologist Robin Dunbar suggests that most people have an average of 150 friends. "They usually consist of an inner circle of five 'core' people and an additional layer of ten. That makes fifteen people - some will probably be family members - who are your central group and then outside that, there's another thirty-five in the next circle and another hundred on the outside. And that's one person's social world." Dunbar's number of 150 can be applied to all manner of social groupings: the estimated size of Neolithic villages; the basic size of military units since Roman times; the most effective size for a business organisation to function; the maximum number of individuals one person can maintain a stable social relationship with before rules, limitations and structures need to be applied in order that the group function effectively. Apparently, in 2003 the average number of friends a British person had was 33. In 2009 research had it at 54, due to the rise of social networking sites. The definition of 'friendship' is changing, as the methods by which we communicate and interact proliferate, and enable us to 'talk' to our friends more regularly and yet do so without actually meeting or speaking to them. 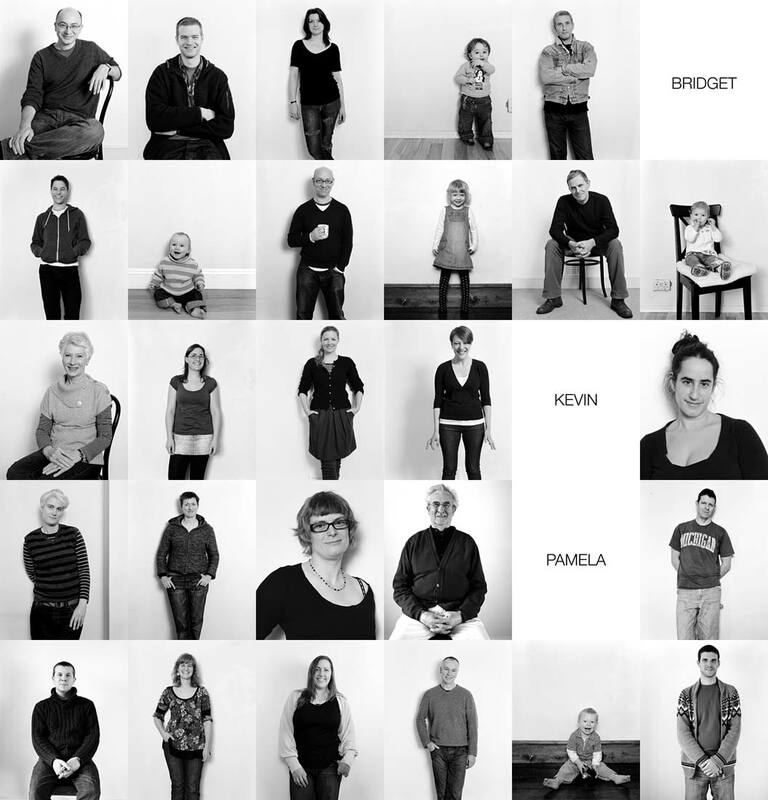 As a photographer, I felt a need to record my closest friends and family in images; the people most important to me in 2010. My work is about stories, usually other people's, and I wondered 'Who will tell my story? ', 'Who are my people? ', 'Who will bear witness to my life?' And this collection of portraits is the answer to those questions. They are not famous, they are unremarkable by conventional standards; they are 'ordinary', but they are my tribe. They are kind, loving, silly, funny, wise, and remarkable in many ways. Some are related to me, others not, quite a few of them have never met each other, but they are linked by their connections with me.